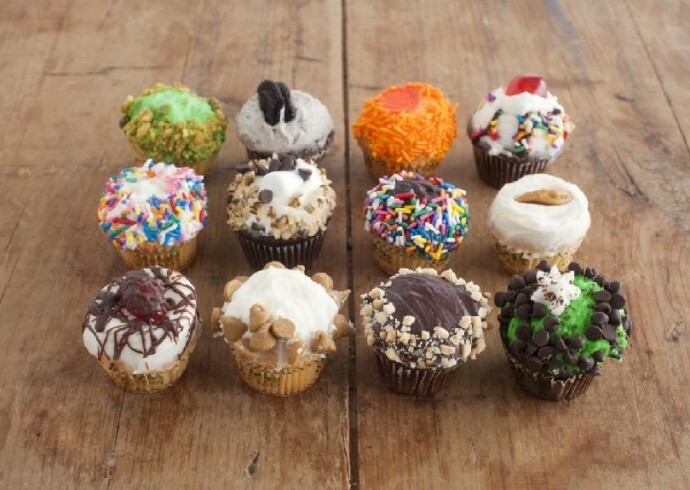 KDH Screams For Ice Cream…New Crumbs Ice Cream Flavored Cupcakes That Is!! Willpower alert! Scoop du Jour, who lures us in off Main Street in East Hampton with the aroma of Dreesen’s fresh baked donuts each day and offers the infamous and enormous Crumbs Cupcake confections has taken delicious to new lengths with the arrival of the Crumbs Ice Cream Collection Taste Pack. One Limited-Edition Taste pack offers twelve delectable cupcakes bursting with quintessential summer ice cream flavors: Pistachio, Butter Pecan, Chocolate Sundae, Banana Split, Grasshopper [Mint Chocolate Chip], Chocolate Sprinkle, Vanilla Sprinkle, Butterscotch, Cookies and Cream, Orange and Cream, Rocky Road and Ice Kream Kone. Sized to whet your appetite, and perfect to pop into your mouth, It’s impossible to savor just one! *Psst: Want to cool off with these tasty treats, but unwilling to fight the traffic from Southampton? Order online at www.Crumbs.com.